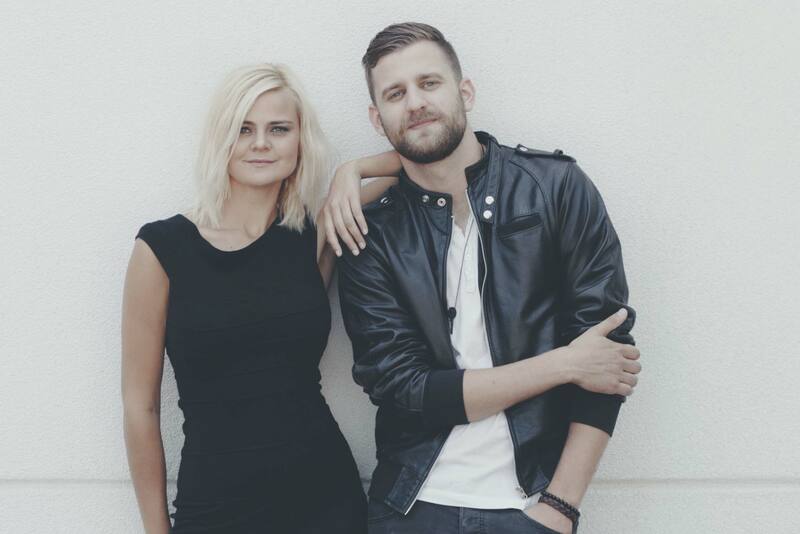 Leaving Thomas is a contemporary country duo, composed of singer/songwriters Annika Odegard and Bryton Udy. Based in Calgary, AB, the duo has been writing, performing, and recording music together since 2014. In January, 2018 the duo released their first self titled album which was a #1 hit on the Country iTunes charts. Every song on the album was co-written by Bryton and Annika, making their album a personal reflection of the duo’s journey over the past three years. Their debut single, “Waiting Kind Of Girl” broke the top 40 at Canadian Country Radio in 2017, and their latest single “Blame It On The Neon” peaked on the charts at #18 in March, 2018. They have performed at major festivals across the country and participated in various songwriter rounds throughout Canada. As a duo, they are known for their stage presence and infectious energy. In addition to live performances, Leaving Thomas creates weekly content for their fans to enjoy. The “LT Show”, “New Tune Tuesday” videos, and the duo’s weekly podcast, “The Funny Thing Is…” are just a few of the ways Leaving Thomas creates unique content and encourages engagement with their fans. Annika and Bryton’s stage experience separate them from many other developing acts as they each spent years performing before coming together as “Leaving Thomas”. Annika spent four years performing as a piano bar entertainer on various cruise ships, placed 11th on Season 5 of Canadian Idol, and won the Calgary Stampede Talent Search in 2012 while Bryton released a solo album, performed in various musical theatre productions, and competed in various vocal competitions such as Nashville North (first runner up, 2013). Together, Annika and Bryton’s musical training and stage experience in addition to their vibrant personalities make them a duo that is hard to forget! Both born and raised in Calgary we grew up listening to country music and it has always been a part of our lives. As songwriters we love the stories that country music tells and how the genre allows us to share our own stories! We started writing together during the summer of 2014. It was Annika’s first cowrite and we haven’t stopped writing together since! As a duo, we are consistently in awe of Dan + Shay. Their songwriting, vocal acrobatics and harmonies are incredible. We think putting on a duo tour would be amazing! We love that there have been more 80s pop influences in the production of Country music! Country is such a broad and welcoming genre and it is so great to hear so many different sounds when listening to country radio today! We are really looking forward to all of the mentorship opportunities both at bootcamp and beyond. It will really allow us to grow and learn as a band. We are also excited to make new friends with all of the other contestants!